Although phentermine helps to suppress appetite, a fiber-filled snack of around 150 calories at about 10 am will keep hunger pangs at bay and ensure that you don’t get too ravenous before lunchtime – long periods of not eating can result in eating too quickly and ultimately over-eating at your next meal, which is definitely best avoided. Keeping hydrated with lots of water should also help to suppress your appetite and boost the effects of phentermine while also soothing the common phentermine side effect of dry mouth. 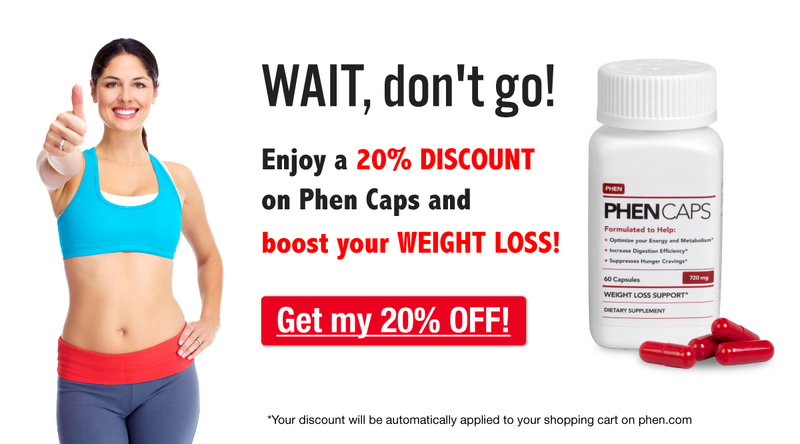 However, to really solve your dry mouth problem, we recommend Phen Drink, the only product specifically designed to help with the dry mouth caused by phentermine, and which should also help you to overcome cravings for soda and candy with its sweet, fruity flavor. What food plan do you follow? If you have any questions, suggestions or advice, let us know by leaving a comment. So which is it ? drinking green tea has caffeine and will create stomach acid. I know it less than coffee but if you are told to avoid caffeine why are you touting it in a different form? Green tea has many benefits for weight loss, so it’s a great alternative to water while you’re losing weight with or without phentermine. And, a small amount of caffeine each day has benefits to your weight loss potential too. What we do explain in this article here – https://www.phentermine.com/blog/10-ways-to-get-more-energy-from-phentermine/ is that coffee (whether it’s caffeinated or de-caff) causes phentermine to be expelled from your system quicker, so it’s best to limit your intake of coffee to one cup a day at most, but that coffee itself is the problem, not caffeine. How many calories do I need to consume to lose the maximum weight, I started phentermine on Thursday. I like fruit juice. Is this a no no on my diet? What do u do to encourage yourself on this diet? I am really trying to get the maximum benefit from this. Fruit juice isn’t terrible but it is no replacement for fruit as it’s high in sugar but has no fiber – a small glass once a day is ok if you really love it. Or you could try homemade smoothies instead as they use the whole fruit so they have fiber in too. How you encourage yourself is a personal thing, as is the specific eating plan you choose – no one diet is better than the other, but the key is to make sure it’s a diet you can stick to. So, keep in mind the foods that you like and try to find healthier ways to enjoy them. For example, if you like pasta then switch to whole grain pasta and try to make pasta dishes with more veggies and less pasta, so you get the nutrients but fewer calories. What about doing two meal replacement shakes(breakfast/dinner), 2 snacks, and one reasonable lunch while taking Phentermine? Hi Jay, great question! It’s really all about balance. If you can consistently meet your calorie and protein goals with shakes, snacks and a solid meal, then that’s an okay option (at least for now). Still, think about the long-term outcome with this plan. Will you continue drinking meal replacement shakes for 2 meals per day for the rest of your life? If not, it might be better to think of the 2 shakes a day as a jump start to your phentermine weight loss, or a crutch when your day is just super busy, but otherwise try to limit it to only one shake + food. In general, it’s best to use your time on phentermine to transition to eating healthy, well-portioned meals that you could see yourself continuing long-term. Establishing sustainable, healthy habits while taking phentermine is one of the most important factors in keeping the weight off later 🙂 Best wishes!